The Department of Art and Art History at Agnes Scott College is delighted to welcome Sarah Emerson as our 3rd Kirk Visiting Artist. Emerson, an artist based in Atlanta, Georgia, creates paintings and installations with highly stylized versions of nature that combine geometric patterns and mythic archetypes to examine contemporary landscapes. She uses the camouflage of beautiful colors combined with deliberate compositional strategies to explore themes that reflect on the fragility of life, the futility of earthly pleasures, and the disintegration of our natural landscape. Emerson holds degrees from from the Atlanta College of Art and Goldsmiths College, London. 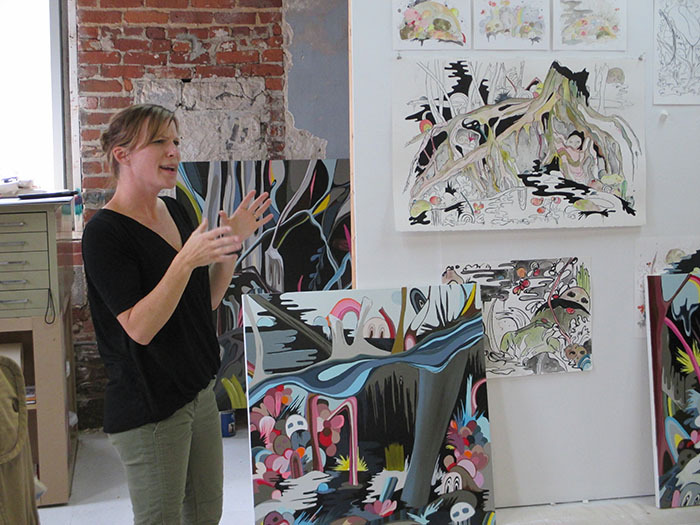 She has exhibited her paintings and installations in galleries throughout the United States, Canada, and Europe, including the High Museum of Art, Atlanta; the Museum of Contemporary Art, Jacksonville; Mirus Gallery, San Francisco; White Columns, New York; the Musée de la Civilisation, Quebec; and the Cosmic Gallery (Cargnel Bugada), Paris. Her work has been featured in numerous newspapers and journals such as the Atlanta Journal-Constitution, The New York Times, Huffington Post, Art Papers and book-length studies such as Noplaceness: Art in a Post Urban Landscape, Stickers Deluxe: From Punk Rock to Contemporary Art, and New American Paintings in 2012, 2007, and 2003. She was recently awarded the 2014/2015 Working Artist Project Grant at MOCA GA, selected by Siri Engberg, Senior Curator of Visual Arts at the Walker Art Center, Minneapolis. She has exhibitions forthcoming at the Atlanta Contemporary Art Center and the Museum of Contemporary Art in Georgia. Emerson is represented by Whitespace Gallery. The Kirk Visiting Artist is made possible by the James T. and Ella Rather Kirk Fund, which was established by alumna, artist, writer, and trustee, Mary Wallace Kirk, in honor of her parents. The fund supports and enriches academic programs in history, music, literature, art, and philosophy. 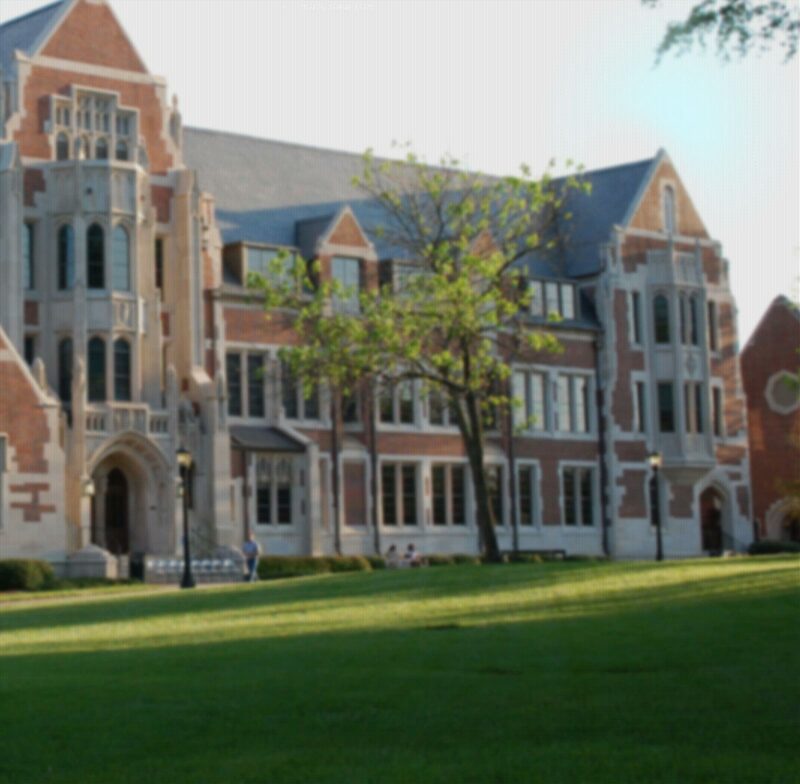 The Kirk fund will also provide additional acquisitional and administrative support for the departments distinctive Seniors Select project, where seniors engage the process of acquiring a work of art for the Agnes Scott College permanent art collection, guided by the “questions we ask” strategy developed by the department. Previous Kirk Visiting Artists have been Jiha Moon (2012-2013) and Katherine Taylor (2013-2014).